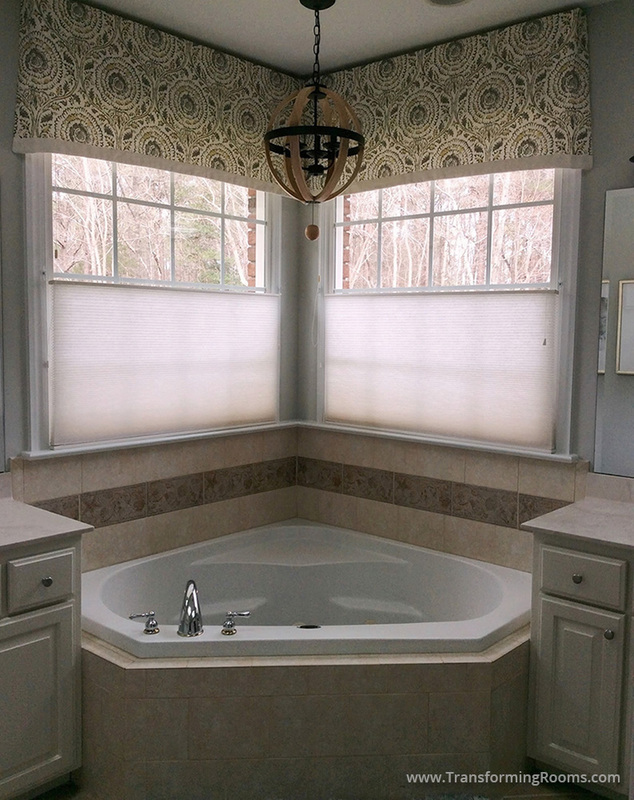 A custom window treatment can make a major impact in a bathroom. We can solve privacy issues, make ceilings feel taller, and make the room look "finished". This client was quoted a $ 28,000 remodel by another other design firm. She was thrilled with our quick and inexpensive changes that allowed her to update many other rooms! 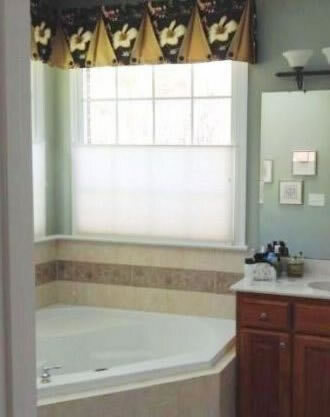 Notice how white Painted cabinets, custom valances and new lighting provide a fresh look.